It’s another week in the NFL and we have already posted our best bets for week 9. Now it is time for the rapid rundown and coverage of every game on the schedule. This quick look is loaded with betting trends, vital information and of course a pick against the spread. Here is our pick against the spread and Raiders vs 49ers predictions. Check out our complete list of games covered by the NFL Rapid Fire Rundown for this week! has all of your betting needs and right now when you sign up you get a 100% bonus up to $1000 to bet on this week in the NFL! Collect your massive bonus today and collect cash winnings when you bet on the NFL! I know we already cover the Raiders vs 49ers picks in our best bets article, but I disagree so I wanted to post my own thoughts on the game. The 49ers are going to come into this game hungover after an awful loss against the Cardinals. The 49ers should have won that game and to make matters worse they have another injury at quarterback. CJ Beathard is banged up and if he can’t go then backup Nick Mullens will get the call. The Raiders will come into this team feeling better after the trade deadline passed. Reports out of the Raiders locker room suggest that the team was on edge leading up to the deadline. The Raiders are 9-4 ATS after a double-digit loss at home and the 49ers are just 2-6 ATS in the last eight games overall. Carr is heating up and he will lead the Raiders to the win on Thursday night. Want a bigger bonus to bet on football? 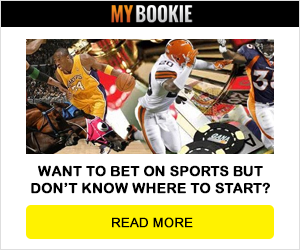 Sign up at YouWager and use the promo code BLITZ and you will get a 100% free play bonus, net loss bonus, a 5% juice special and access to NFL contests!